Waaaayyyyyyy too long, that's all I know. Well, no worries, now that summer is approaching, I am going to try to get back into posting deals on sports, electronics, tools and other guy-type things on a much more regular basis. So, to get things started, I thought I'd post about Dropbox real quick. Dropbox is a file sharing service that allows you to have a file on one computer, but see it and edit it on another. This is really great if you can't email large projects back and forth to people, or you want to share pictures, music, etc, or want to use it as a small backup service. Oh yeah, and the first two gigabytes are totally free! I did a write up over at ThriftyNWMom.com, so you can learn a little more, or go to Dropbox to sign up. The call to serve. It has no sound, yet I have heard it. In the whispered retelling of honorable sacrifices made by those who have served before me. The call to serve has no form, yet I have clearly seen it. 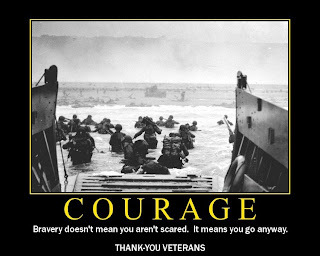 In the eyes of the men and women infinitely more courageous and more driven than most. The call to serve has no weight, yet I have held it in my hands. and the anguish of those less fortunate has been soothed. The call to serve, is at once invisible and always present, and for those who choose to answer the call, for their country, for their fellow man, for themselves. It is the most powerful force on earth. I am proud that I have had the chance to serve my country. No, I did not got to Iraq, Afghanistan, Somalia, or any of the other many hot spots around the globe. As a member of the Coast Guard, I did , however, save lives, protect the environment, protect the interests of American fisheries, and helped prevent drugs from reaching the shores of our country. I got to see the joy in the eyes of family when they were reunited with someone after a disaster, and the heartache and tears when they did not. I stood tall in my dress uniform sailing into foreign countries, and got down and dirty cleaning the ship's decks. I fought fires, learned how to steer a boat that was longer than a football field, and could plot a course using only the stars and a clear horizon. I laughed alongside airmen, stood tall next to soldiers, and swore at Navy sailors. At times I felt I could do no wrong. Other times it seemed like I couldn't do anything right. I grew up, gained confidence and learned how to lead others. I was prepared to go to war, but helped maintain the peace so we did not. My story is unique, yet it is not. Every service member, whether they served in the Army, Navy, Marine Corps, Air Force or Coast Guard has a story to tell. Each one is different, but each one will tell of struggles, triumphs, and a deep-seated pride to having served. 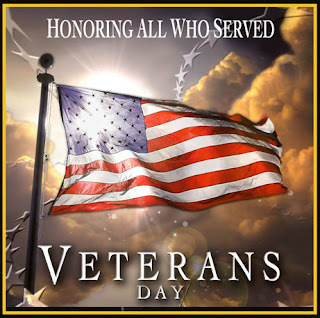 So I ask, on this Veteran's day, put aside your political feelings and find a veteran to thank. Thank them for being prepared, thank them for their willingness to give their time, thank them for preparing to die, if necessary, so that you may continue to enjoy your freedoms that we really do take for granted. For a service member it is not an easy job, but one that we are proud to have done. There are many ways to thank a veteran. Give them a hug. Give them a call. You probably know at least one. Most of us will blush at the thanks, but we really do appreciate it. One way that some businesses have decided to show their appreciation is by offering free meals or other items on or near Veteran's Day to those who have served. To thank those establishments, I wanted to try to list as many as I can here. I will update this as we get closer to the time and I hear of more restaurants honoring veterans! Please let me know if you hear of any restaurants, stores, or other places honoring veterans on (or around) Veteran's Day. Lee Greenwood "Proud to be an American"
Old Navy Weekly just updated with the coupon locations around 5:45pm PST and they were tough this week!! They only had 250 $75/$100 and 500 $50/$100. But, there are still great coupons available if you missed out on the high-value coupons!! Make sure to check out all the locations in case they use any of the similar locations next week!! $75 off $100 (GONE)- Find the "Q and A" under "Letters to the Editor". Move the "A" to the girl in the blue sweater (top picture) - on her chest on the right. $50 off $100 (GONE)- You'll need to move 4 stars to the number "4" under "Wear it 4 Ways". First star is in the banner "Wear it 4 ways"; next star is by "Cardi Coats". The last 2 stars are in the banner at the bottom which says "Eva's Weekend Look" (if you move someone left to right, it will say something different but there will still be 4 stars). 20% off entire purchase - Under "Wear it 4 Ways" you'll see a line of dots. Move these over to the line of dots above "Letters to the Editor"
10% off when you buy a sweater- Middle picture- Girl with blue dress and brown sweater; move her necklace to the green sweater (cardi coat) on far right. You might need to move her (using arrows) to the front position to be able to click on her boot. For those of you who have been having problems with Firefox on Old Navy Weekly nights, here is the trick to clearing your cache (a sort of "short term" memory). The easiest way is to use the Clearing Cache add-on in Firefox. Select Tools - Add-ons - then click get Add-ons in the upper left hand corner. A small Search box will open just underneath that button and search for Clear cache. Or you can use this link! After opening Mozilla Firefox (if you don't have it open already). Click the CLEAR CACHE NOW button to delete any files that are in the cache. Click Clear Now then OK and you are done! I hope this helps! See you at ThriftyNWMom.com next week! Coupon trip Number 2: Cheap Razor refills! So, not to be dismayed by my previous coupon event, I decided that I was going to head back to the store and see if things would go better. This time, it worked to perfection! My mission was to score some Schick Quattro titanium razor cartridges for as little as possible. I've been looking for this for a while (because let's face it, razor cartridges are RIDICULOUSLY expensive!) and I was really glad when I saw the Sunday ads and Rite Aid had them on sale "buy one, get one free" (BOGO) . By the way, as a side note, you can find the date of the circular on the "spine" of the cover in teeny, tiny print. Smart Source has the date in the center of the spine, and red Plum has the date on the far right. So, I went to Rite Aid, and since I had a razor already, I got (4) packages of Titanium refills (normally $11.29 each) and two razors and two refills on the Intuition for my wife. My total cost was $15.94 after coupons! That's less than $2 per box! Sweet! My wife found these and she wanted to pass them along! 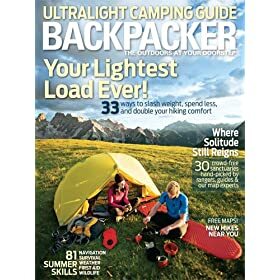 This is another great magazine deal from Amazon - for less than a week, you'll find a 1 year subscription to Backpacker magazine for only $5!!! This offer is only good until Saturday, August 22nd, 2009! This subscription is normally $29.99. This would make a great gift idea for Christmas or birthdays for that special guy in your life - hubby, dad, son, boyfriend, friend! Thanks The Coupon Project! There are many more including Skiing, Horse Illustrated, Sport Fishing, Running Times, Bicycling, Golf, to name a few!! See the entire list HERE and sort by lowest to highest price! There are also many more for women including Town & Country, Harper's Bazaar, Country Living, Coastal Living and more...remember the additional $5 comes off at checkout!! What a great way to use some of your Amazon gift cards you earn from your Swagbuck searching!! I can't tell you how many Swagbucks I have been earning while searching the web!! I use Swagbucks as my main search method, even when going to websites that I frequent regularly and I'm earning more and more swagbucks! The best way to use Swagbucks is to install a toolbar at the top of your browser, near your favorites (just like a Google toolbar) and then you will use it regularly)--you can still have google as an option to search as well as other search engines--but you can use Swagbucks as your default search engine, so you'll be earning rewards as you are searching the web! You can install a toolbar by going to the main Swagbucks home page HERE and click on toolbars! Lollapalooza is offering a free one year subscription for SPIN Magazine. Just go here and enter your info. It's that easy! Giveaway of the Day! Free software every single day!